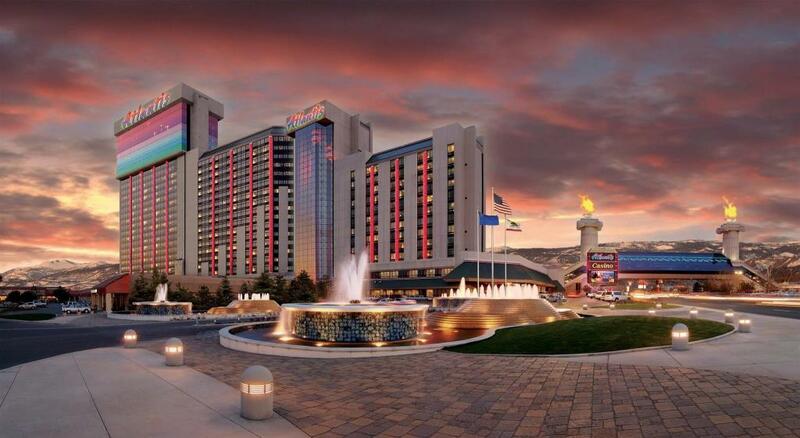 If you’re planning a trip to Reno, NV, the decision on where you should stay is an easy one. 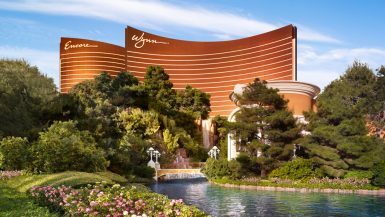 Yes, there are over 60 properties to choose from in the self-proclaimed “Biggest Little City in the World,” but one only resort can boast about being the number one ranked property on TripAdvisor, and say they’re home to the only spa in northern Nevada to receive the highly-coveted Forbes Travel Guide Four-Star designation. That honor goes to the Atlantis Casino Resort Spa. Located on the outskirts of downtown Reno, Atlantis Casino Resort Spa offers everything you could want in a destination property. 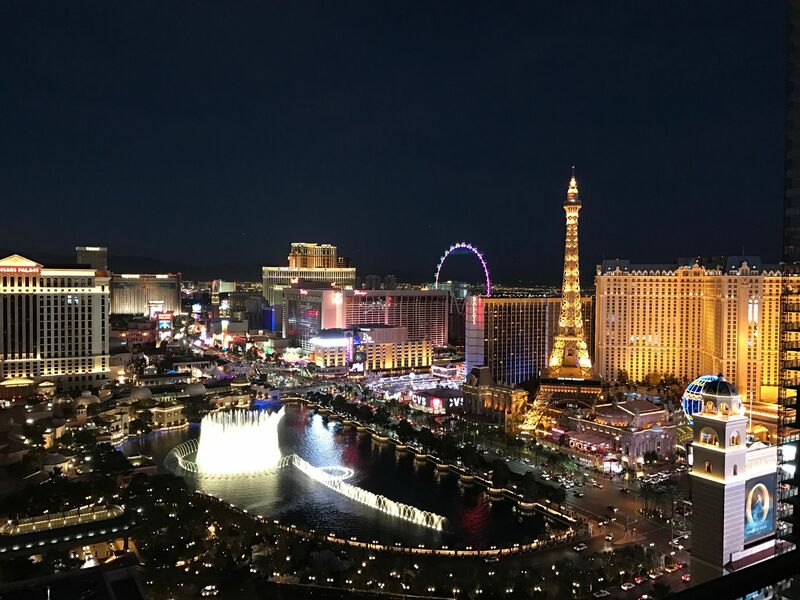 They have amazing restaurants, beautifully appointed rooms, a world-class spa at Spa Atlantis, and if you’re into gambling, slots that are 25% looser than elsewhere in northern Nevada. 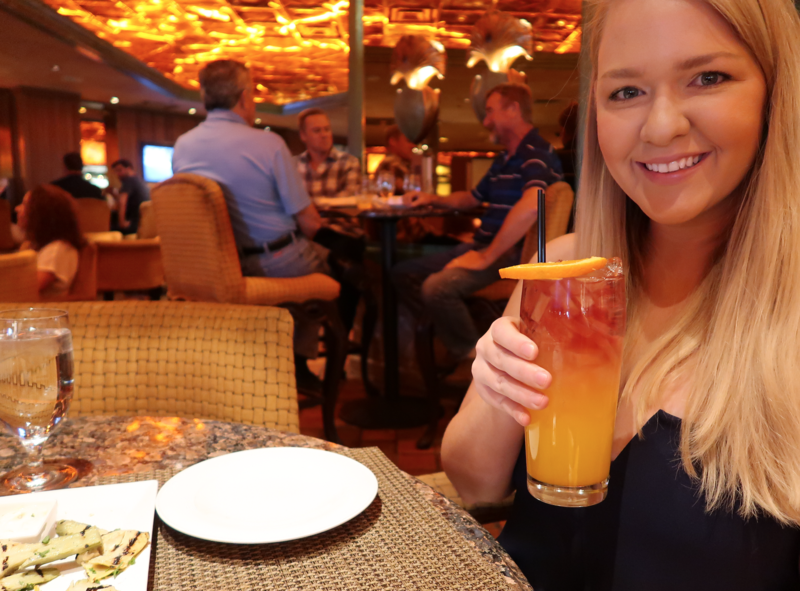 Guests raved about their experience staying at the Atlantis, and so, I decided I needed to experience a stay at the Atlantis Casino Resort Spa myself. Upon arriving, we were instantly greeted by a front desk representative named Tom who put a smile on our face from the get-go. He was wearing a Cowboys pin, and therefore my boyfriend and he hit it off talking about the brutal loss the Cowboys had earlier in the day (they’re both fans). As we were talking, some other staff members chimed in, and it was such a unique, yet refreshing experience, seeing so many staff members treat guests like extended family. Tom helped check us in to our room on the 25th floor of the Concierge Tower and after a few recommendations, we were on our way! There are quite a few room options at Atlantis, but for this trip, we enjoyed staying in the Concierge Tower. As Atlantis’ second, and newest tower, the Concierge Tower offers all of the room upgrades you’d want in a resort, and then some. Not only does this tower offer private, key-card access only high-room floors, but you get to enjoy access to the Concierge Lounge where you can enjoy complimentary breakfast, snacks, and appetizers throughout the day. are Sealy® pillow-top mattresses with luxurious triple sheeting, and they were so comfortable that we may have accidentally slept for nine hours each night – whoops! They’re just that pleasant, that it honestly felt like you were sleeping on a cloud. There are multiple charging ports generously located throughout the room which made charging our phones, computers, and cameras a breeze. Their bath products were some of the best I’ve ever seen offered at a casino property, and not only do you have complimentary water bottles stocked up daily, but there’s in-room coffee as well. The sweetest surprise of all was that every evening around 7 p.m., staff members swing by to offer you complimentary Baileys and mints for turndown service. The staff members were so friendly and ensured we were enjoying our trip. I’ve heard of complimentary drinks while gambling, but mini bottles in the room was a new, and pleasant touch! 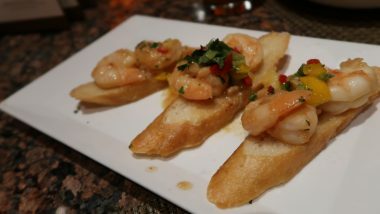 There are twelve dining options at Atlantis, ranging from top-notch steakhouses to grab-and-go bites. 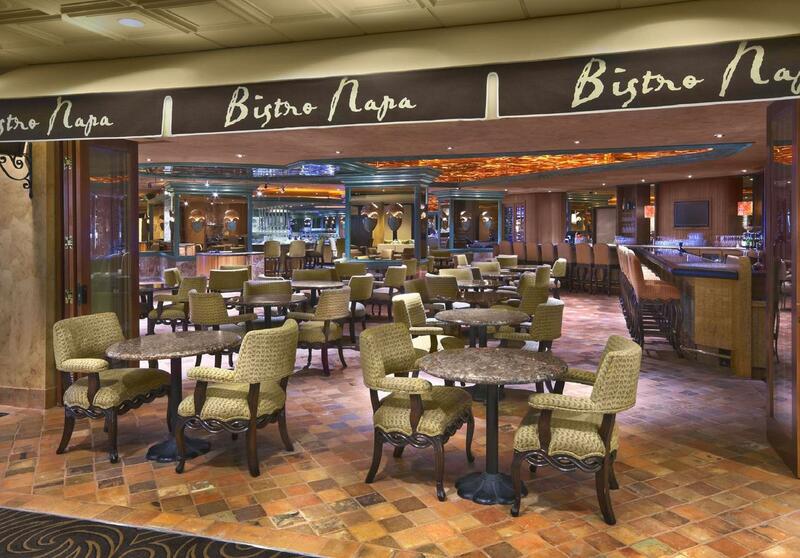 Whether you’re looking for all-you-can-enjoy buffets, some 24/hour options, or a reason to dress up and enjoy some upscale service, Atlantis has it all. 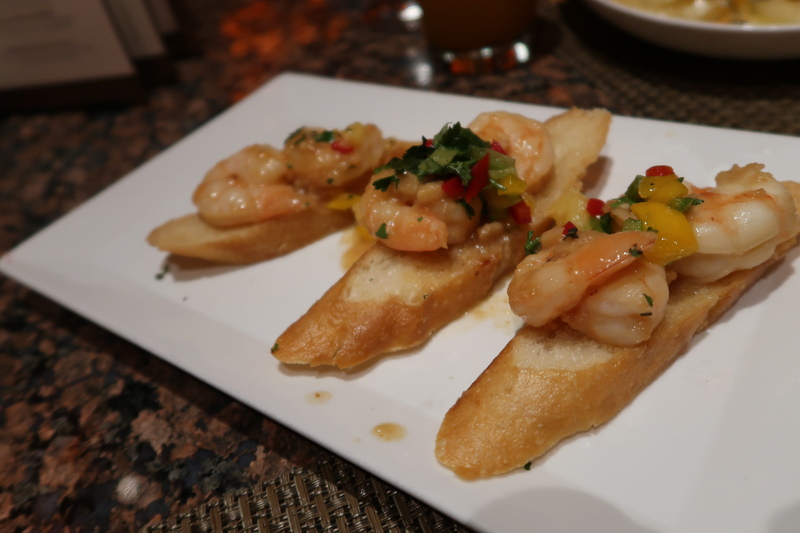 For our first evening at Atlantis, we dined at Sky Terrace Sushi Bar. They offer all-you-care-to-enjoy sushi including popular rolls like the dragon, caterpillar, and Philly, along with some themed favorites named the Atlantis and Sky Terrace respectively. The service was on-point, the food was delicious, and for the price ($19.99 11 a.m. -4 p.m. then $26.99 4 p.m. to closing) it’s hard to go anywhere else. 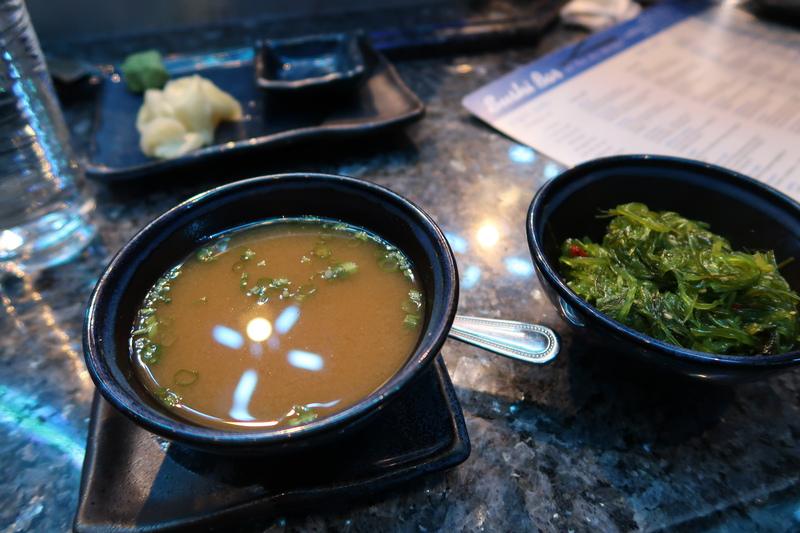 Rare for a sushi establishment, they even have gluten-free and vegetarian options which make Sky Terrace Sushi Bar a great option for guests of all dietary requirements! Because we were staying in a Concierge Tower room, we took advantage of the complimentary breakfast both mornings at the Concierge Lounge. The breakfast options leaned towards the healthy side, which was refreshing given how much we were indulging the other meals. 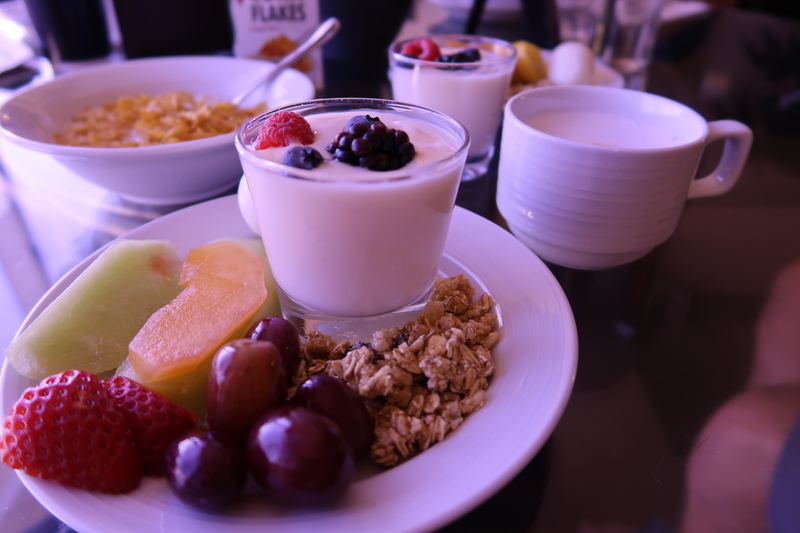 There was fresh fruit, pastries, granola, and cereals to choose from, and a make your own latte bar which was a hit with most guests on our floor. 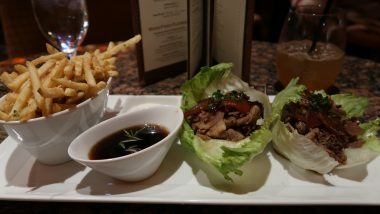 More than the food, my favorite part about the meals at the Concierge Lounge was the interaction Sean and myself were able to enjoy with other guests. Staff members welcome you by taking you to “your table” which you share with other guests. It’s a family-style dining of sorts that allowed us to enjoy conversation with other travelers. From talking with a 93-year-old woman who told us about Reno in the 40’s to a sweet newly-retired couple from Sedona, California updating us on the current fires in their area, it was refreshing to have a sense of community while on vacation compared to our usual secluded trips. 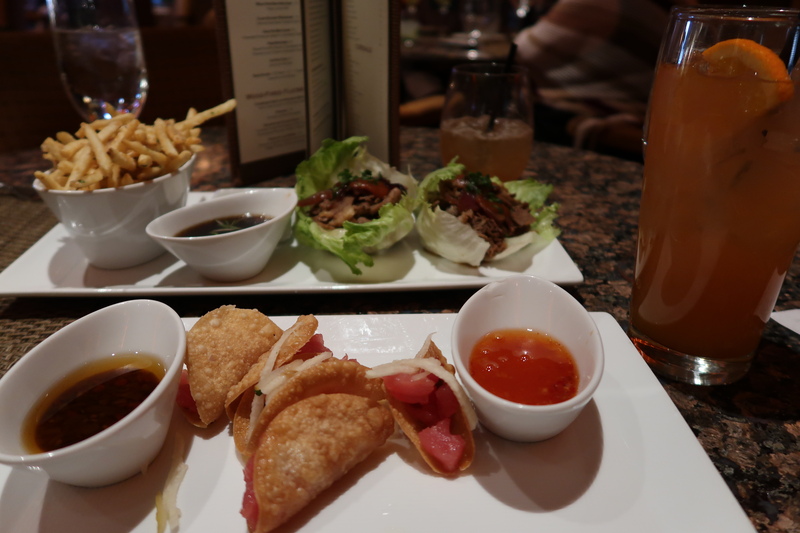 For happy hour, we visited Bistro Napa, located on the second floor of the Concierge Tower. If you love a good happy hour, this is a must-visit. Drinks and small bites are half-priced in the lounge, yet the service and serving size are the same as you’d expect from their established restaurant. Users on Yelp! 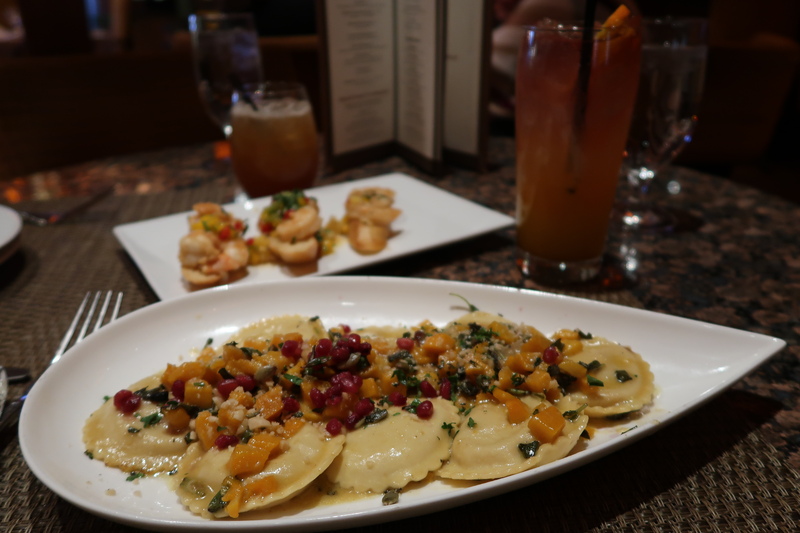 raved about the wood-fired artichokes, butternut squash and pumpkin ravioli, grass-fed beef sliders, and ahi poke tacos, so naturally, we had to order one of each to try. 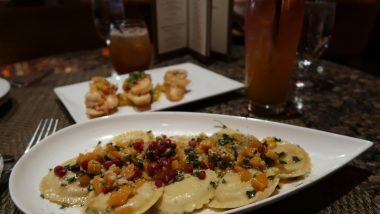 Everything we ordered was absolutely delicious, the atmosphere was on-point, and we even ran into our new friend Tracie who does PR for Atlantis. With happy hour taking place from 4-6 p.m. we noticed many guests arriving around 5:15 p.m. for an early dinner in the lounge, and many trying to get some last-minute half-priced drinks in just before 6 p.m. It was a fun environment where the mix was a perfect blend of locals and travelers all bonding over amazing food and great piano music. 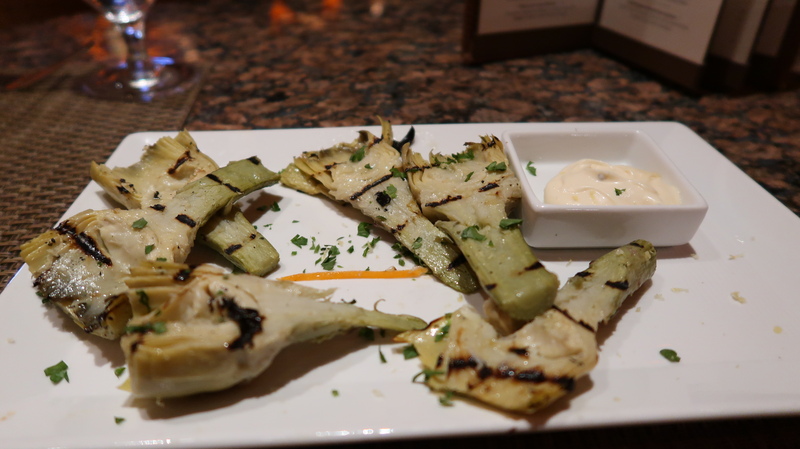 If you find yourself hungry in Reno, then the lounge at Bistro Napa is a must. 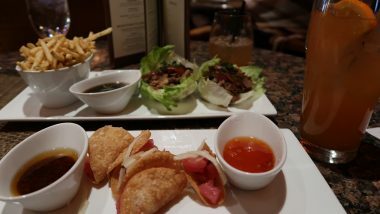 Finally, we dined at the Sports Bar & Lounge on the casino floor, as they offer half-priced food and drinks during happy hour and sports games. Given we were watching Monday Night Football, it’s hard leaving when you have comfortable seats, upbeat atmosphere, and some $3 cold beers! 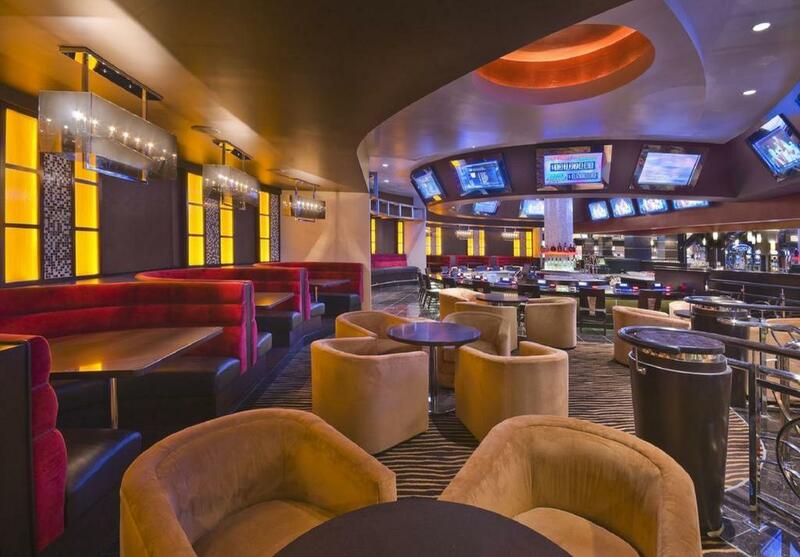 If you’re looking for a place to watch a game, this is it. There’s no shortage of activities to enjoy at Atlantis. 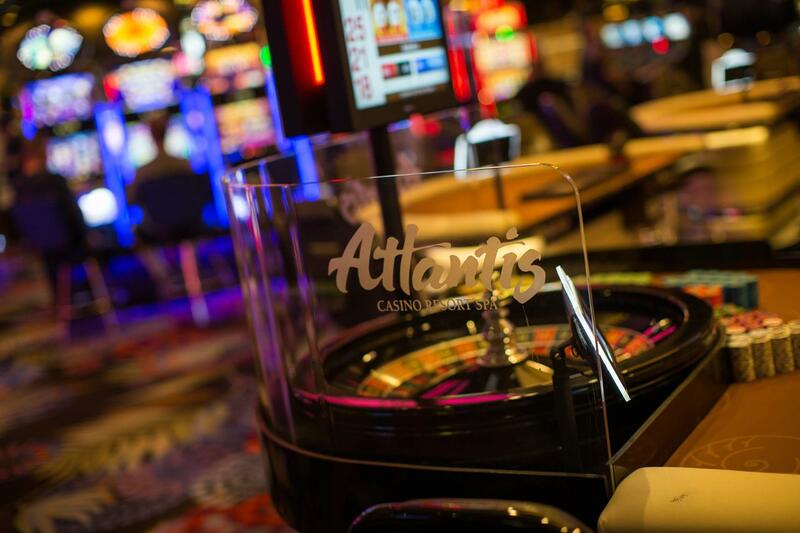 From the casino with great odds to northern Nevada’s only spa to receive the highly-coveted Forbes Travel Guide Four-Star designation, indoor/outdoor pools and an awesome gaming area, Atlantis truly is a destination resort. 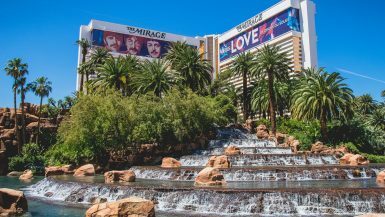 There are a lot of lodging choices to choose from when you’re planning a trip to Reno, Nevada – but none of them have the charm or atmosphere of Atlantis. It’s no wonder Atlantis continues to rank the highest with guest satisfaction, from the small details to the overall picture, Atlantis has it figured out. 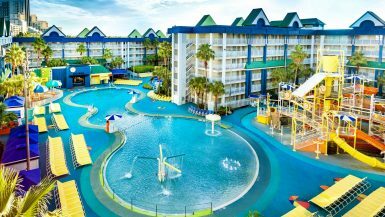 Atlantis provided me with a two-night stay, however all opinions remain my own. Wow, the Atlantis resort looks like it has it all. The food looks delicious and that bed does, indeed, look like a dream. Those little bottles of Bailey’s are a nice touch. I would love to stay there. I’ve never had a chance to stay at a casino hotel before, but this one sounds really well equipped and welcoming! I might actually get to go to Reno for work once, maybe I can stay there on the company.. haha..
Can’t believe you stayed on the 25th floor, the view must have been amazing from there. Really cool that they provide complimentary drinks etc, that’s a really nice touch! Interesting. I have yet to travel to Reno, although I’ve been to Vegas many times and Atlantic City once. I love the family style dining option. I usually travel as a single, so it’s great to have some time talking to people in a comfortable setting. I’ll keep this spot in mind for my first visit. 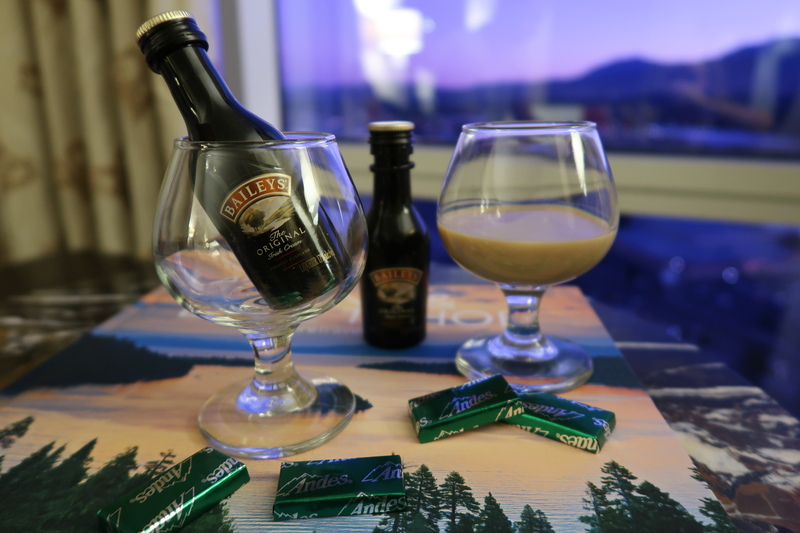 Complimentary Baileys and mints for turndown service, sign me up!! We have never had the opportunity to go to Reno, but after reading your post we need to visit. Sounds like a phenomenal hotel has a lot to offer! It is so weird because I have been to places near Reno but have never been to Reno itself. I would love to spend a long weekend there exploring the Casinos and surrounding areas. The Atlantis Casino Resort and Spa looks amazing. How clean is that place? Cause it looks perfect inside. 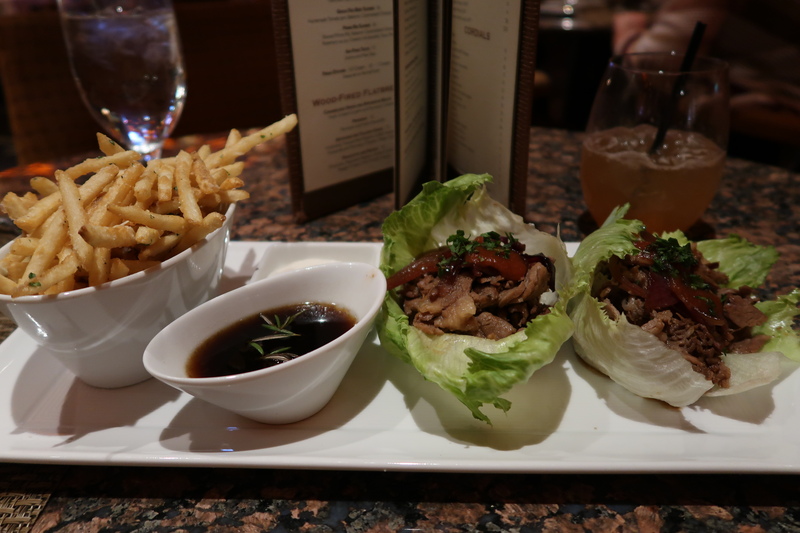 Also, I may have to explore the gym cause all of those restaurants would kill my diet with such good food! 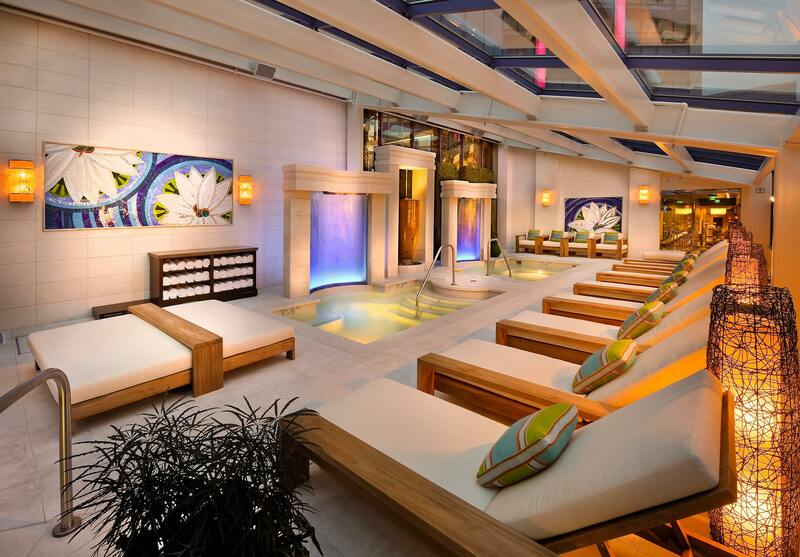 Atlantis Casino resort spa looks very luxurious and beautiful. It is good to know they have diverse 12 food options with some options opening till 24 hours. 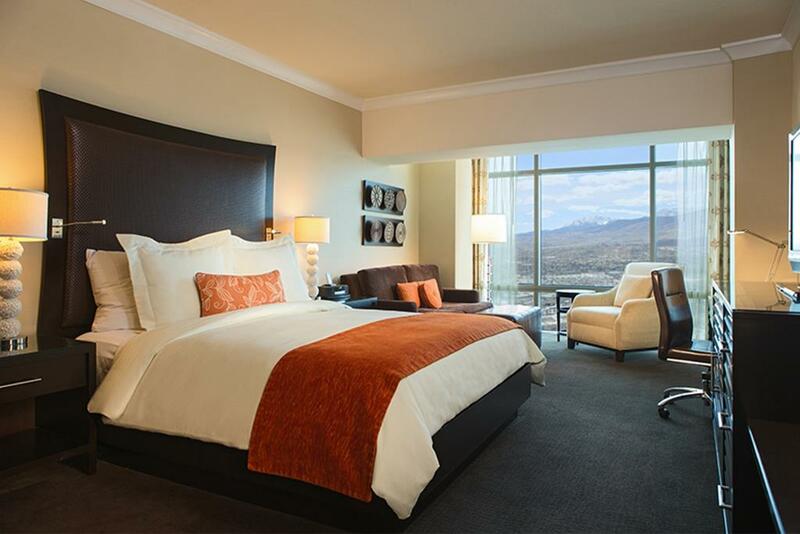 I’m not really into casinos, but this looks like a great place to stay if I’m ever in Reno! I’m definitely a huge fan of that baileys-before-bedtime things haha. Wow, Atlantis looks like an amazing place to stay. The amazing food got me interested and the grandeur of the room is just so impressive. Especially with the view from the top floors. The Bailey’s bottles are a nice touch, even though I don’t drink alcohol, it’s a nice add-on surely.